I’m sure you’ll agree 2015 has been a fantastic year for backyard chicken keepers! This year we’ve made our own mealworm farm, ran the annual backyard chickens blog award, and even interviewed 43 backyard chicken keepers– it’s been a very hectic year! We thought it would be a great idea to make our last blog post of 2015 a collection of all of your favorite articles throughout the year. 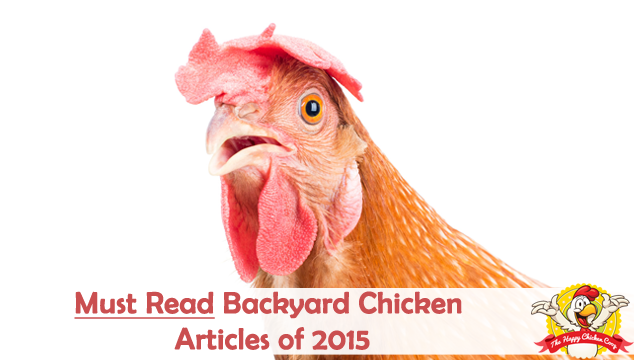 Let’s take a look at the Top 10 Must Read Backyard Chicken Articles of 2015. 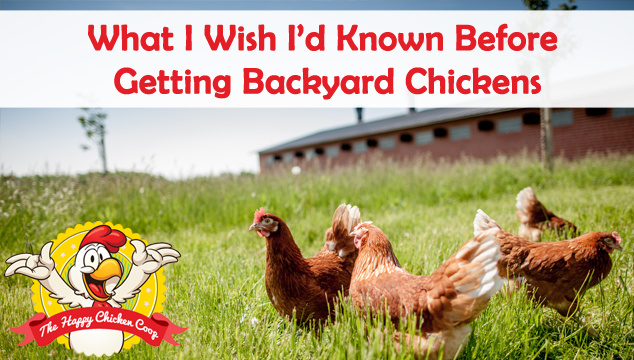 The most popular article of 2015 was: What I Wish I’d Known Before Getting Backyard Chickens. Getting chickens for the first time can be a nerve wrecking experience- you constantly fret that you are doing something wrong. Did I leave the coop door open? Are they getting enough food to eat? When should they start laying eggs? All of these questions swirled around in my head for the first few weeks of raising chickens. 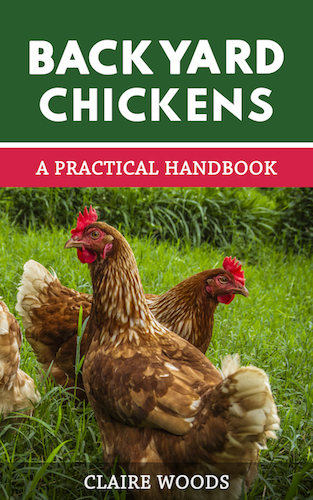 The responses have been collated and believe us, it’s a treasure chest of helpful hints and tips for all you first time chicken keepers- I’m sure even experienced chicken keepers will learn a thing or two from reading it! In second place is our definite guide to keeping chickens during winter. Winter can be a cruel and miserable time for your hens if they aren’t cared for properly. Frozen water, frostbite and chilling winds all help to add to their misery. With some simple and easy to make changes to their coop, run and routine, you can make the winter time so much nicer for them! This guide literally took us over a month to write, but when you read it I’m sure you will realize why. In total there are 6 chapters full of helpful advice and guidance for keeping chickens during winter. Read the full article here: Keeping Chickens In Winter. It appears many of you are having trouble with your hens not laying eggs, as our third most popular article of the year is 7 Reasons Why Your Chickens Stopped Laying Eggs. Hens can be extremely pernickety at times and the slightest disturbance to their routine can stop them laying eggs- this can be a blessing and a curse. When things are going well my girls can lay an egg a day for weeks, if not months at a time! But when something upsets them- boy do I know about it! It can be anything from a slight change in their diet to adding new hens to the flock- make sure you read Why Your Chickens Stopped Laying Eggs to find out how to get your hens laying eggs again. Again, eggs were the topic of choice for our fourth most popular article of the year, 10 Breeds of Chicken That Will Lay Lots of Eggs for You. Most backyard chicken keepers get hens for their eggs- yes they make fantastic pets and are wonderful company, but most people get them for the egg supply. If you too are getting backyard chickens for the fresh eggs, then choosing the right bread is crucial. It doesn’t matter how well you look after your hen, if you have a breed (Japanese Bantams) known for laying only a few eggs a year- don’t expect many eggs from them. Other breeds (Rhode Island Reds) meanwhile are egg laying machines and frequently lay an egg a day. 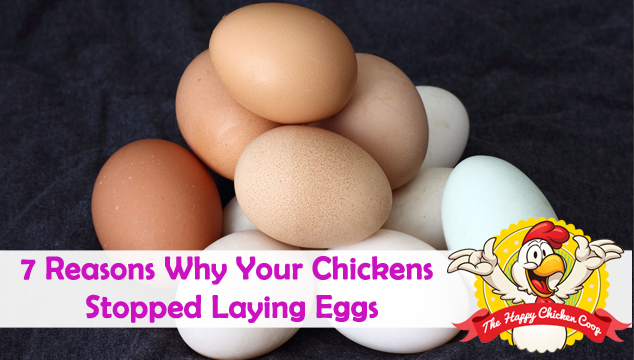 That’s why we compiled a list of the best egg laying breeds, so you can make the right choice! Providing your hens with nice healthy snacks can become very experience and before you know it you can be spending 10 bucks a day on it! 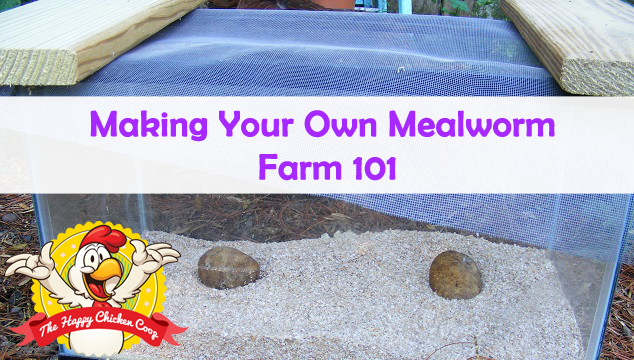 That’s why we decided to write Making Your Own Mealworm Farm 101, which details exactly how to build your own mealworm farm to provide your girls with extremely cheap snacks! Now instead of buying mealworms for $5 a bag, we just head out into the barn and collect some from our ‘farm’ and dump them into the hens’ run. For those of you who are a bit squeamish this might not be for you, but for everyone else- get started now! #6: What Exactly Is a Broody Hen and How to Stop It? In sixth place is: What Exactly Is a Broody Hen and How to Stop It? If there is one thing you can be certain of in life it is: when you want to raise chicks your hens won’t be broody, yet when you don’t want to raise chicks your hens will be broody! Lucky though I’ve seen my fair share of broody hens and know exactly what it takes to stop them being broody. In seventh place is our article on the Best Beginner Chicken Breeds. Choosing the correct breed can make or break your hen keeping experience! 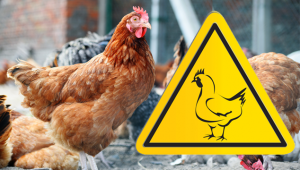 A rowdy and aggressive breed can quickly turn chicken keeping into a living nightmare. 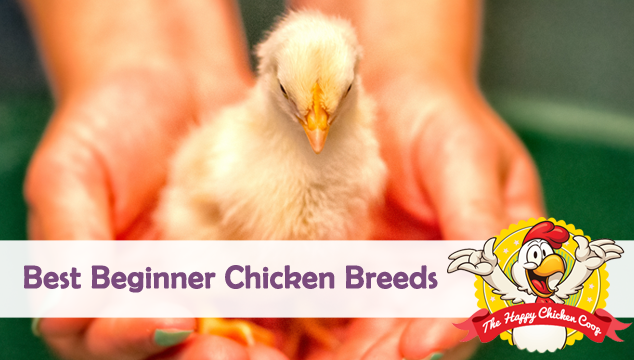 That’s why we decided to compile a list of our favorite 5 chicken breeds for you. We chose breeds based on how docile and friendly they are, but also based on their egg laying ability! If you’re currently choosing the breed of chicken you want to get in the spring, make sure you read this article first to make sure you get the best breed of chicken for your situation. 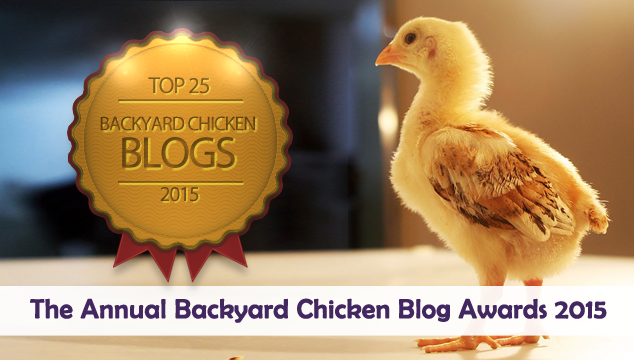 Back in June we decided to run the inaugural Backyard Chicken Blog Awards. Here at The Happy Chicken Coop, we love to follow and read other backyard chicken blogs to find out new ideas, tips and tricks! We decided to invite all of you, the readers, to get in touch with us and nominate your favorite blogs. It was a roaring success and you turned out in your thousands to vote! We can’t wait to run the awards again next year and make it even bigger and better. If you missed the results you can find them here. Whilst this article won’t be relevant for winter time, I’m sure next spring it will be hot on the agenda! Bringing baby chickens home for the first time is amazing. There is no doubt about it, it is like Christmas day for me! Even now after all these years I still get that rush of excitement. Seeing those little chicks chirping away to themselves is one of the best things in the world. I’ve raised chicks a few times now and learnt a few lessons along the way so I decided to write them up in a blog post. Make sure you follow the advice outlined in the article and prepare thoroughly before your chicks arrive. The last article to reach the top ten is: How To Store Your Chickens’ Freshly Laid Eggs. There is a lot of information and mis-information out there on how to store your chickens’ eggs. Should you clean them with washing up liquid and warm water? Spray them with an antibacterial spray? We get straight into it and discuss the myths with storing backyard chicken eggs and then tell you exactly how you should store your eggs! 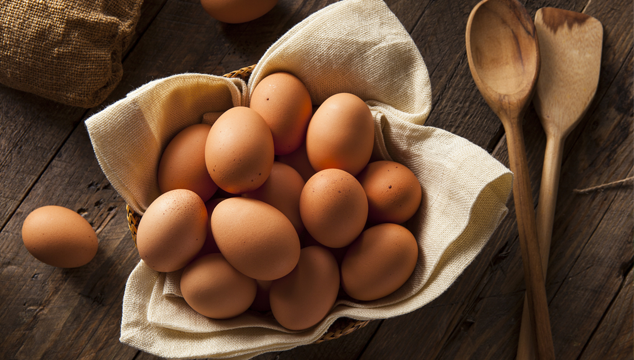 Read the full article here: How To Store Your Chickens’ Eggs. I’m sure you will agree it’s been an amazing year here at The Happy Chicken Coop, and we’ve loved every minute of it- I hope you have too! I’d like to thank you, for visiting the website, and I truly hope you have found it fun and useful. We can’t wait to return in 2016 because we have some great articles and huge announcements in the pipeline! P.S. Let us know which article is your favorite in the comments below! 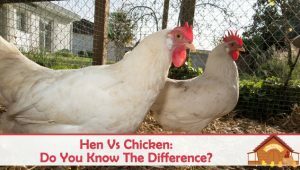 Hen Vs Chicken: Do You Know The Difference?